The Acer Chromebook 514 is a workhorse with all-day battery and solid productivity performance. 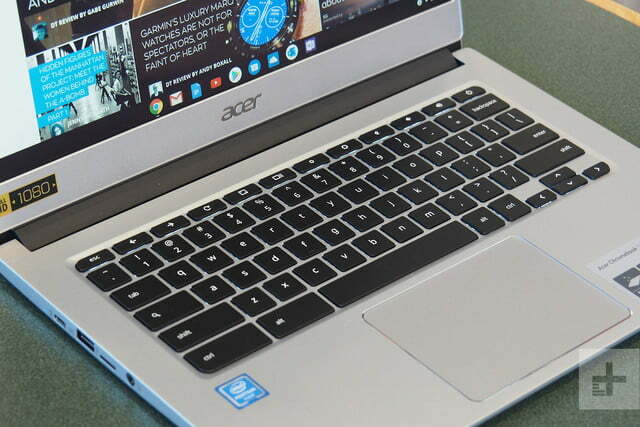 Does Acer’s new Chromebook 514 succeed in getting the job done? It’s not exactly cheap, and so does it earn its place next to similarly priced machines that can carry a load? The Chromebook 514 looks a lot like… well, a modern clamshell laptop. 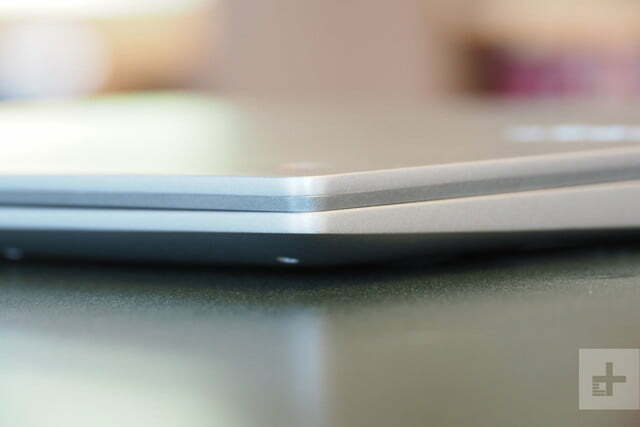 That is, it sports a silver all-aluminum chassis with a lid that opens wide enough for productive laptop use but doesn’t flip around like the increasingly common 2-in-1. 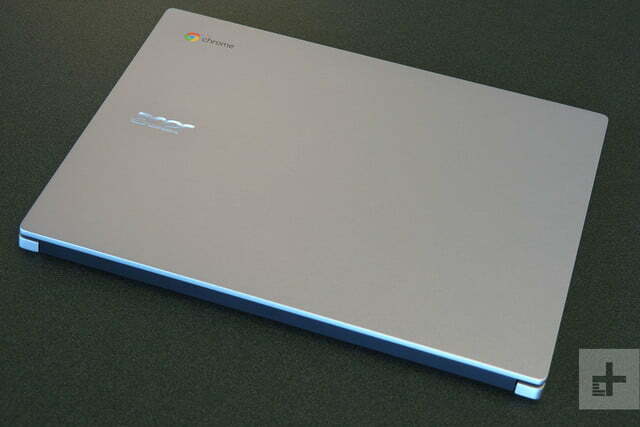 There’s a chrome accent lining the touchpad and a chrome Acer logo on the lid – and that’s it. 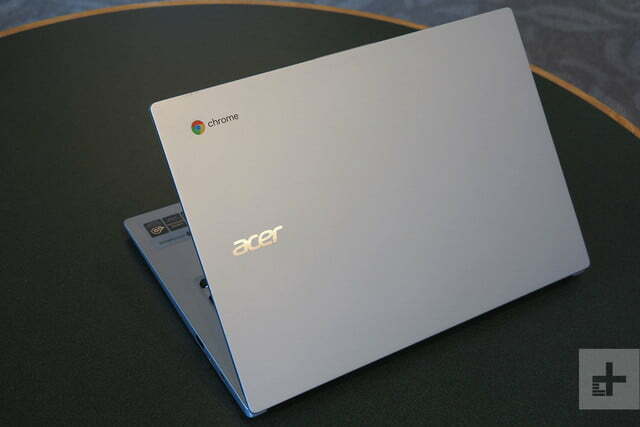 In fact, it’s not all that different from the Acer Chromebook 14 we reviewed in 2016, and it bears a striking resemblance to the Acer Chromebook 13 released in 2018. There’s nothing wrong with the aesthetic, mind you. It’s not unattractive, and it doesn’t stand out. It’s fine. The build quality is a bit more of a standout, though, and in a good way. 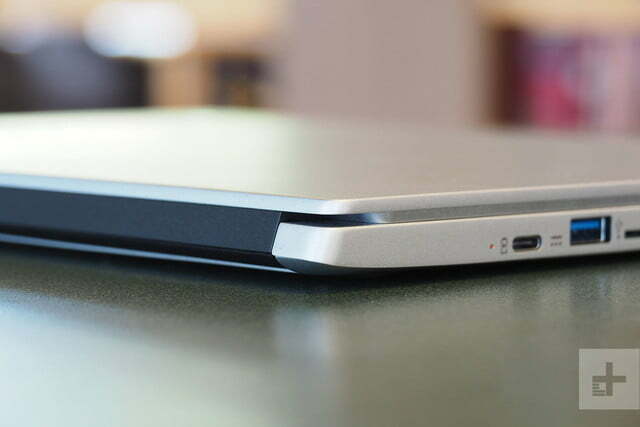 It’s solid, with just a little bit of flex in the lid and none in the keyboard deck or chassis bottom. It’s more rigid than the more expensive Acer Chromebook 13, and it’s as good as premium machines like the HP Chromebook x2 and Google Pixelbook 2-in-1s. The build quality stands out more than the aesthetic, and in a good way. The top and bottom bezels are also rather large, which detracts from a modern appearance and adds some size to the chassis. The size bezels, though, have been trimmed a bit. 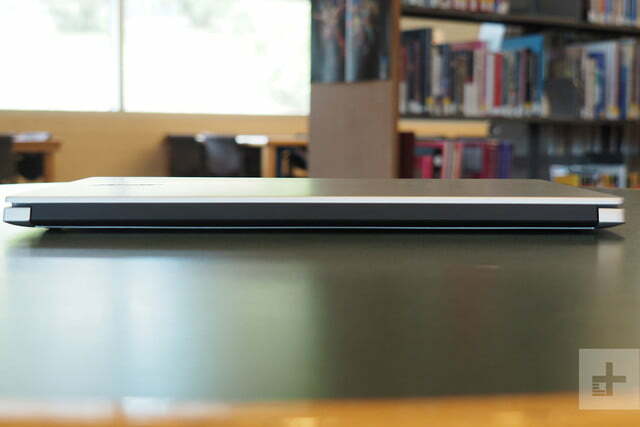 The Chromebook 514 is reasonably thin at 0.67 inches (the same as the Chromebook 13) and of moderate weight at 3.09 pounds (curiously, much lighter than the Acer Chromebook 13’s 3.5 pounds). There are definitely more portable Chromebooks out there, such as the Pixelbook. 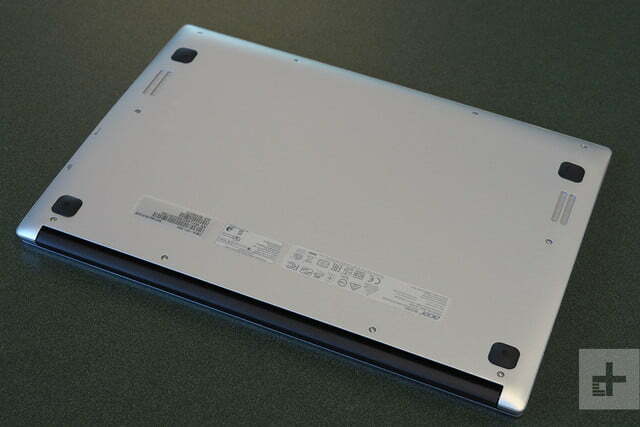 Like most Chromebooks, the Chromebook 514 is fanless and so completely silent. We never noticed the chassis getting anymore than slightly warm during even our most intensive uses. 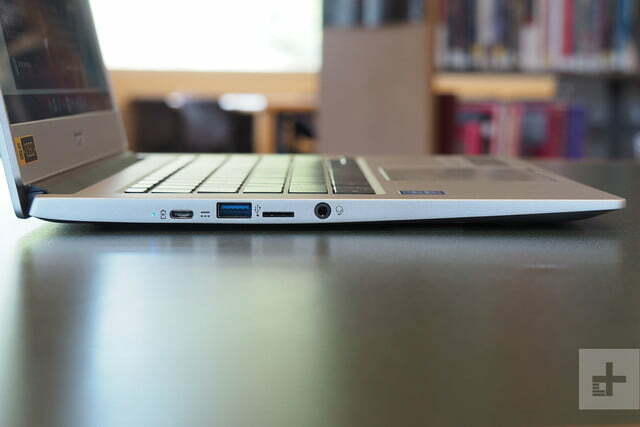 Connectivity is solid for a Chrome OS laptop, with two USB-C 3.1 ports that each support charging and external displays, two USB-A 3.0 ports, and a microSD card reader. 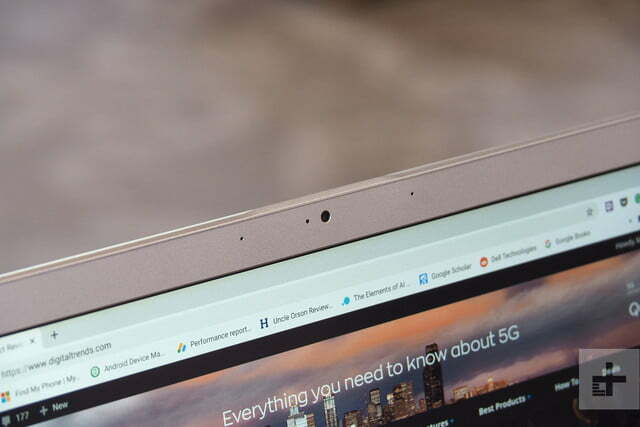 There’s no Thunderbolt 3 support, which isn’t a knock against the Chromebook 514 – we’re not aware of any Chromebooks that support the super-fast protocol yet. A dual-band Intel chipset provides 2×2 MU-MIMO 802.11ac Wi-Fi and Bluetooth 4.2 wireless connectivity. The Chromebook 514 has the usual island keyboard with black chiclet keys and five levels of brightness, and we liked it a lot. It provides sufficient travel so that you’ll never feel like your fingers are bottoming out, and the key mechanism is snappy without being loud. You’ll find the standard Chrome OS key layout without a single surprise – that’s one of the benefits of Chromebooks, in fact. We were up to our typical typing speed and accuracy in no time, and we enjoyed the keyboard as much as the similar model on the Acer Chromebook 13 and the HP Chromebook x2. The touchpad was also a joy to use. It’s large, filling most of the available space below the keyboard, and it has a pleasant surface that provides just the right amount of tactile feedback. The button provided a satisfying click that wasn’t noisy, and all of the usual Chrome OS multitouch gestures were supported and reliable. 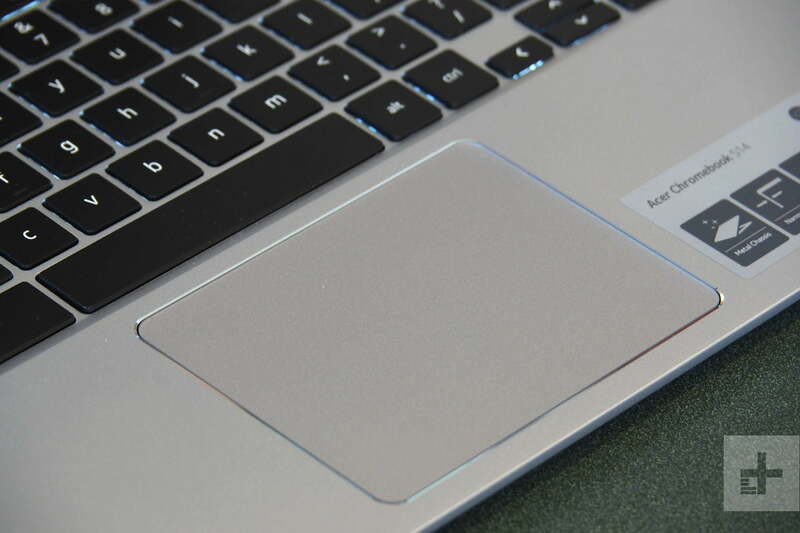 We liked this touchpad as much as on better Windows laptops like the Dell XPS 13, which is one of our favorites. Finally, the model Acer provided for this review included a touch display, and we were glad to have it. Once you’ve used gotten used to using your finger to tap the occasional button and swipe through web pages, it’s something you tend to miss when in it’s not there. 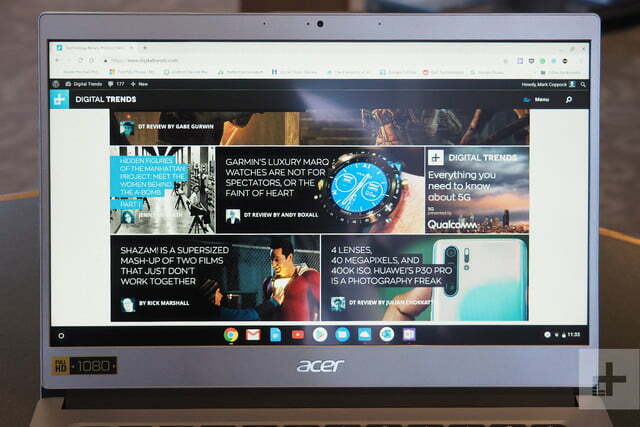 We were glad to see Acer equip the Chromebook 514 with a 14-inch Full HD (1,920 x 1,080) IPS display that was sharp enough for anyone but the most devout pixel-peeper. 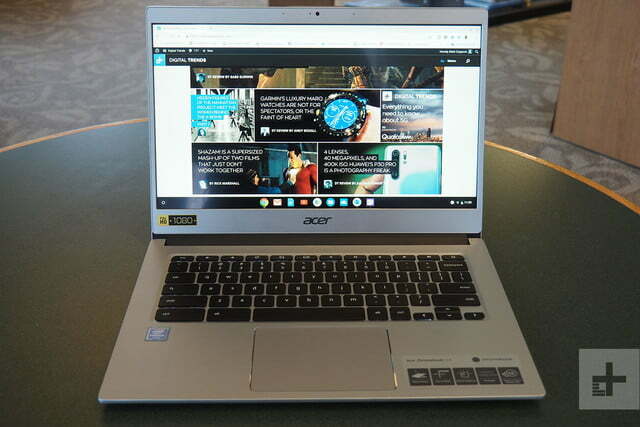 The display is in the video-friendly 16:9 aspect ratio, and we admit that we prefer the more productivity-friendly 3:2 aspect ratio on the Acer Chromebook 13 that provides more vertical space for viewing documents and web pages. Brightness was plenty high for most environments – although you won’t want to take the Chromebook 514 outside and use it in bright sunlight – and contrast seemed very good. We can’t submit Chrome OS laptops to our colorimeter tests, but we thought colors were plenty vibrant and accurate and gamma seemed to keep images from being to light or too dark. The display was more than good enough for productivity work and Netflix binging. 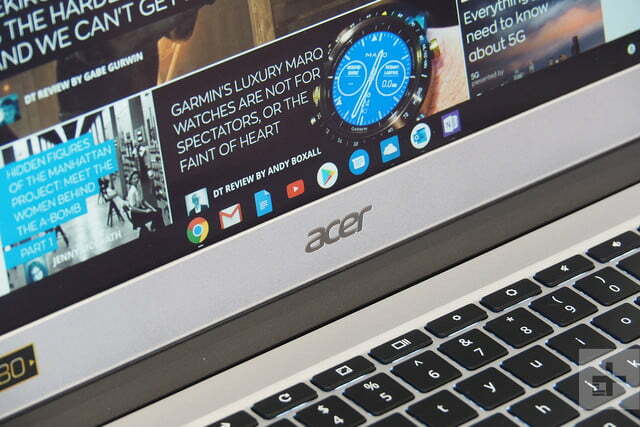 It’s not the best display we’ve seen on a Chromebook. That distinction goes to more premium options like the Pixelbook and HP Chromebook x2. But the display was more than good enough for productivity work and watching Netflix and YouTube video. The audio won’t keep up, though. You’ll likely want to pull out a pair of headphones for longer binging sessions. Volume from the two downward-firing speakers on the bottom of the chassis was good enough to fill a small room, and there wasn’t a ton of distortion. Mids and highs were no better than adequate, and the bass was definitely lacking. Sound quality wasn’t a huge detractor, but it’s not going to impress, either. We can’t run Chrome OS laptops through our usual suite of benchmarks, so we’re limited in how well we can objectively characterize the Chromebook 514’s performance. We did run Geekbench 4 and saw a single-core score of 1,556 and a multi-core score of 4,837. That’s in line with other machines with the same Pentium N4200 CPU (1,449 and 4,114), such as the Acer Chromebook Spin 15. But it’s well behind the Chromebook 13 with its Core i5-8250U (4,275 and 8,792) and the HP Chromebook x2 with its Core m3-7Y30 (3,441 and 6,685). We also ran the web benchmark, Speedometer 2.0, where the Chromebook 514 scored 24.1. Again, that’s in line with the Chromebook Spin 15 (24.5), but it’s blown away by the Acer Chromebook 13 (88.6) and the HP Chromebook x2 (75.1). It won’t feel as snappy as those other options, but the 514 is a bit more affordable. The Chromebook 514 does benefit from its 8GB of RAM, which is good enough for Windows machines and excellent for Chrome OS laptops. Having more than the Chromebook average of 4GB of RAM means that you can use numerous tabs at once and more Android apps can be kept open. There’s also 64GB of storage, but it’s based on the slower eMMC as opposed to faster laptops using SATA or PCIe solid-state drives (SSDs). Overall, we can’t complain about the Chromebook 514’s performance – it’s par for the course at pricing of $500 or less. You can get faster performance for a little more money – such as the Chromebook x2’s Core m3 CPU for just a $100 premium — but the Pentium chip here suffices. The Intel HD Graphics 505 integrated GPU will power casual Android games, but that’s about it. We’ll also mention that the Chromebook 514 offers even more value for anyone whose performance needs aren’t too extreme. You can get a configuration with a Celeron N3350, 4GB of RAM, and 32GB of storage for just $350 – that’s a great price for such a solid build quality and a nice Full HD display. 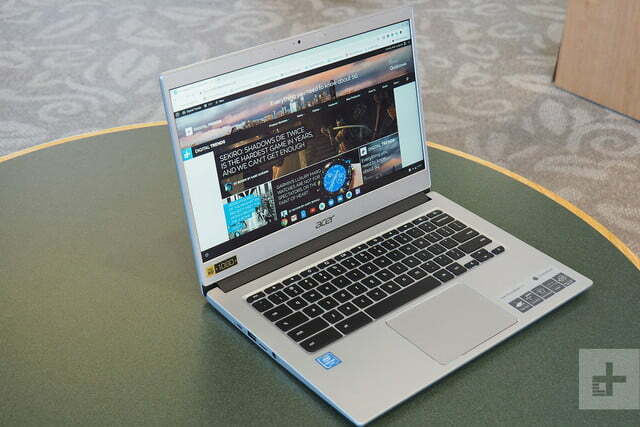 Acer equipped the Chromebook 514 with 45 watt-hours of battery capacity. Coupled with the reasonably efficient CPU and the Full HD display, and given that Chrome OS is a more efficient OS, we expected to get decent battery life. We got better than we expected. First, the Chromebook 514 lasted almost five hours in our most CPU-intensive Basemark web benchmark test. That’s much better than the three hours the Chromebook 13 managed, and it even beat the excellent Chromebook x2 with its four and a half hours. By comparison, a long-lasting Windows laptop, the XPS 13, lasted for close to four and three-quarter hours. Switching to our web browsing test, the Chromebook 514 went for almost 11.5 hours. That compares to the Chromebook x2 and about nine and a half hours and the Chromebook Spin 15 that lasted for 11 hours. The XPS 13 made it to 10.5 hours in the same test. 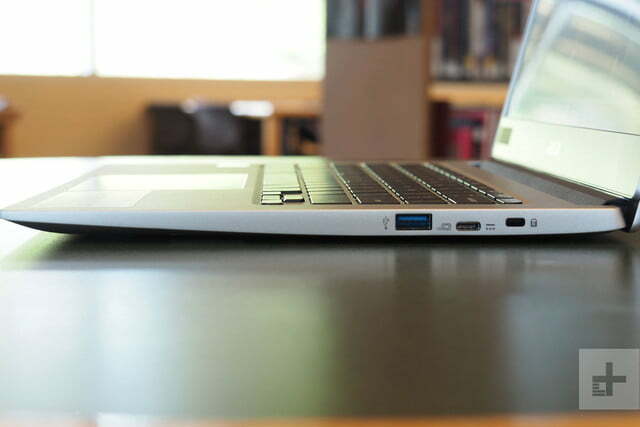 You’ll get a solid day of work out of the Chromebook 514 unless you push the CPU. Finally, we subjected the Chromebook 514 to our video looping test that plays a Full HD Avengers trailer until the battery gives out. It managed just over 11.5 hours in this test, beating out the Chromebook 13’s nine hours and the Chromebook x2’s almost 10 hours. The Windows-based Asus ZenBook 13 lasted a longer 13.5 hours. Simply put, you’ll likely get a solid day of work or school out of the Chromebook 514 unless you’re pushing the CPU. That’s not likely — as long as you’re primarily using the laptop for the kind of productivity tasks that its CPU can handle efficiently. It’s a good choice for anyone who doesn’t want to worry about plugging in throughout the day. 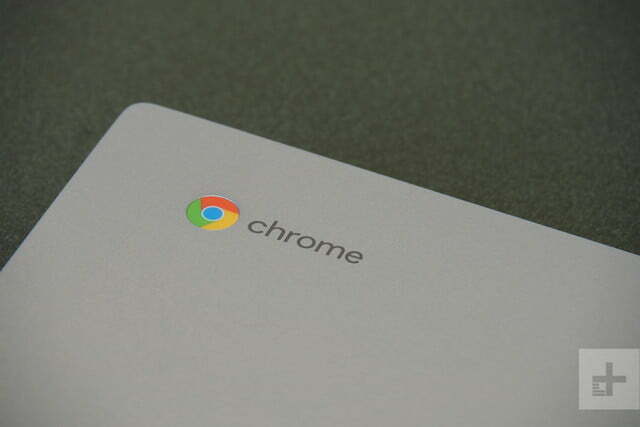 The Chromebook 514 isn’t an exciting laptop, but it doesn’t aim to be one. It doesn’t provide class-leading performance, and it’s not the most exciting piece of hardware around. But it runs fast enough for the usual Chrome OS tasks, it runs a long time on a single charge of the battery, and it’s rugged enough to carry around without worrying that it’s going to break down at the slightest provocation. That’s more than we can say about most laptops in this price range. There are quite a few options at the Chromebook 514’s price of $500. If you’re willing to step up in size, then you can opt for a 2-in-1 with the Acer Chromebook Spin 15 for $450. You’ll get roughly identical performance except for multitasking thanks to the same Pentium processor but only 4GB of RAM in the larger laptop. If you’re willing to spend a little more and the flexibility of a 2-in-1 appeals to you, then you could consider the $600 HP Chromebook x2. 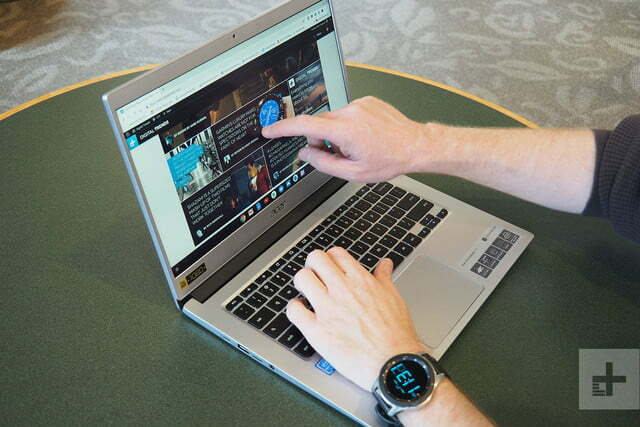 That’s our favorite overall Chrome OS device, offering a detachable tablet format with an excellent keyboard base that works as well as a clamshell. It’s also slightly faster thanks to its Core m3-7Y30 CPU, but its 4GB of RAM and 32GB of eMMC storage fall behind the Chromebook 514. If you need even more performance than you could consider the Acer Chromebook 13, which equips a very fast 8th-gen Intel Core i5-8250U CPU. It’s very similarly built and slightly smaller, and you won’t get the same all-day battery life. You’ll speed through any task you can throw at a Chrome OS laptop, but you’ll also spend considerably more at $800. As we mentioned earlier, you can also save some real money and benefit from the Chromebook 514’s great build quality, keyboard and touchpad, and display if you can give up a little performance. For just $350, you can drop to a Celeron N3350, 4GB of RAM, and 32GB of storage. The Chromebook 514 is well-built and should last as long as you’ll need as long as you treat it with reasonable respect. Its CPU isn’t the latest nor the fastest option, but we don’t anticipate Chrome OS advancing to the point of rendering it unusable for quite some time. The standard one-year warranty is less than we like, but you won’t find many laptops with better. Yes. For the money and given its excellent build quality and good battery life, the Chromebook 514 is a safe choice that’s unlikely to disappoint.